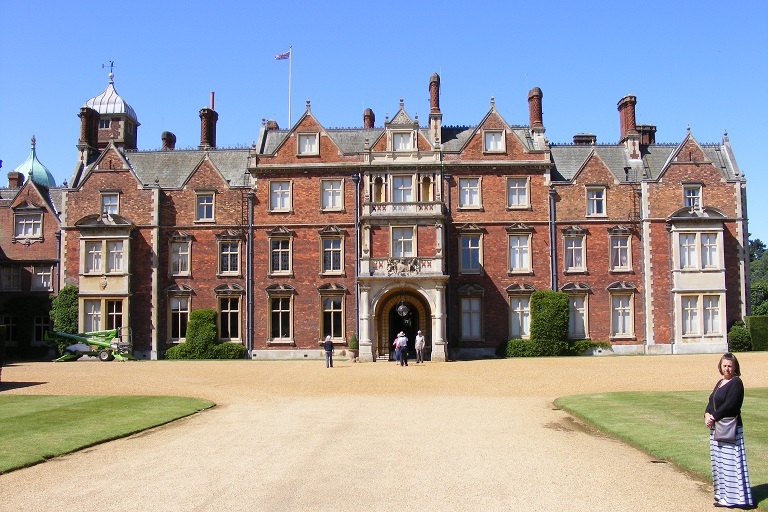 We drove north from Norwich to visit The Sandringham Estate in the morning and Holkham Hall in the afternoon. 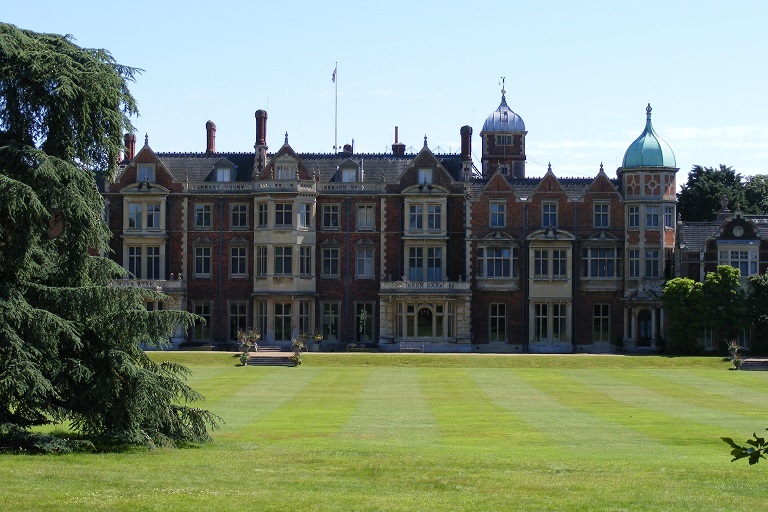 We visited Sandringham first as it opened earlier in the day. 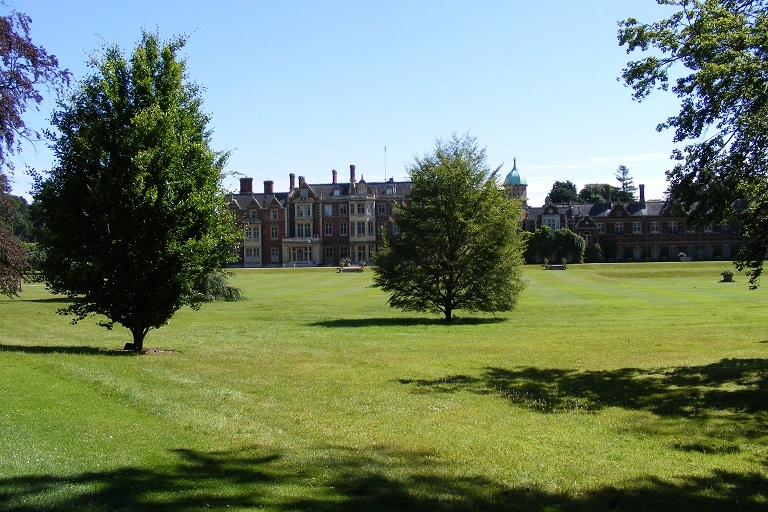 Sandringham is the Norfolk estate of HM The Queen and she and the family usually spend Christmas there. 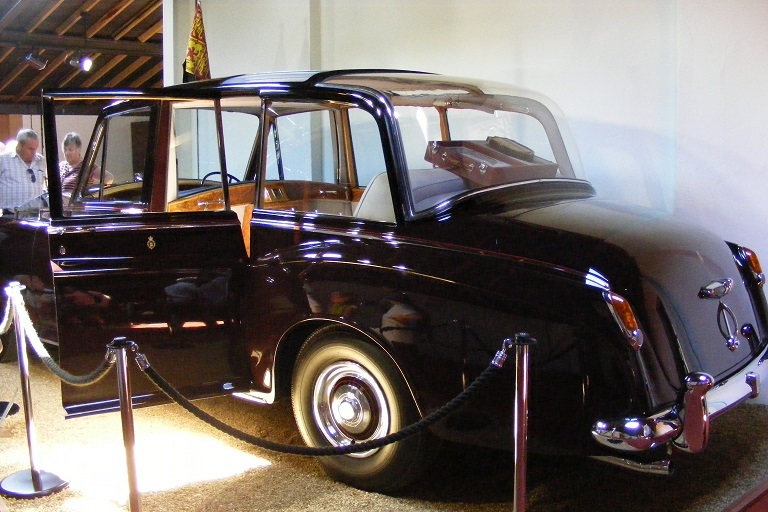 It was purchased by HM Queen Victoria for their eldest son, the Prince of Wales, in 1862. 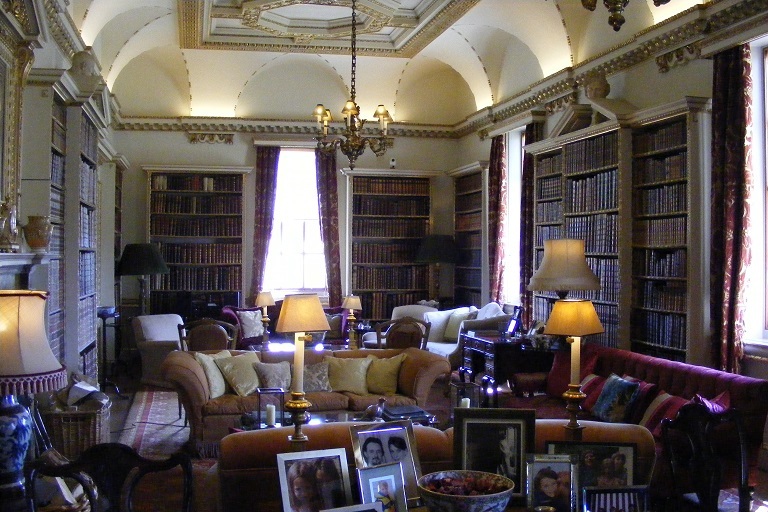 Within a few years the original house had been demolished and a much larger house created. 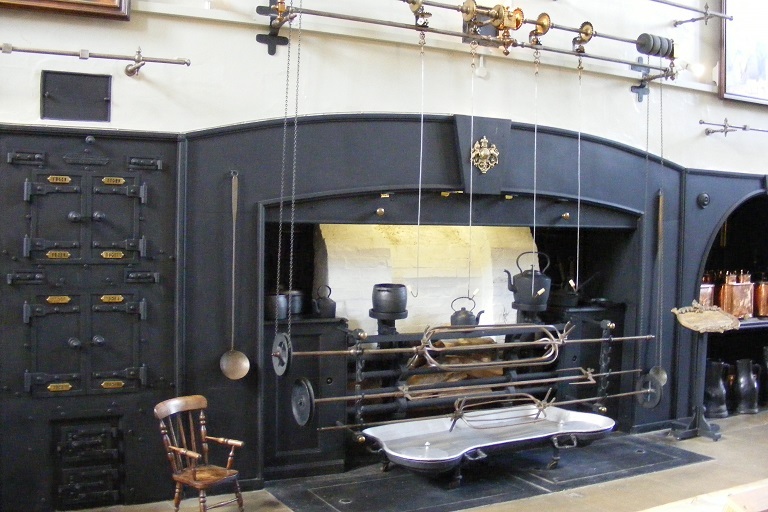 One wing was ahead of its time in having gas lighting, flushing water closets, and bathrooms including early forms of shower. 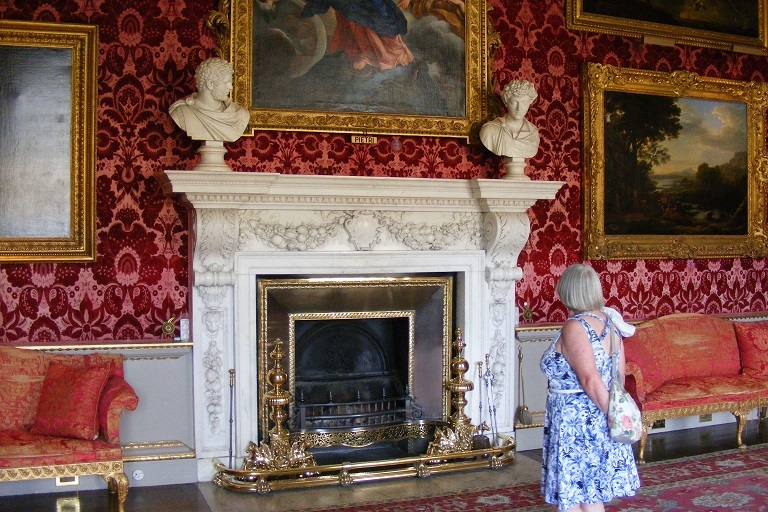 The House has been opened to the public for parts of the years since 1977. 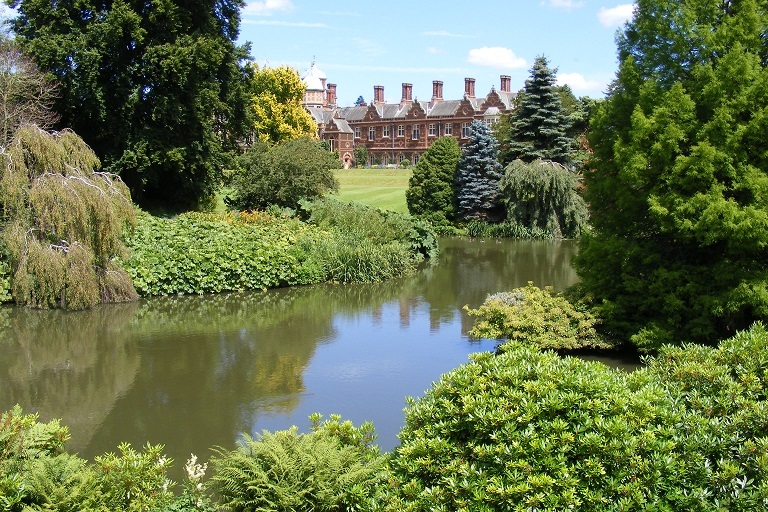 4 views of the main house at Sandringham: across park; main frontage; main entrance; across the lake. 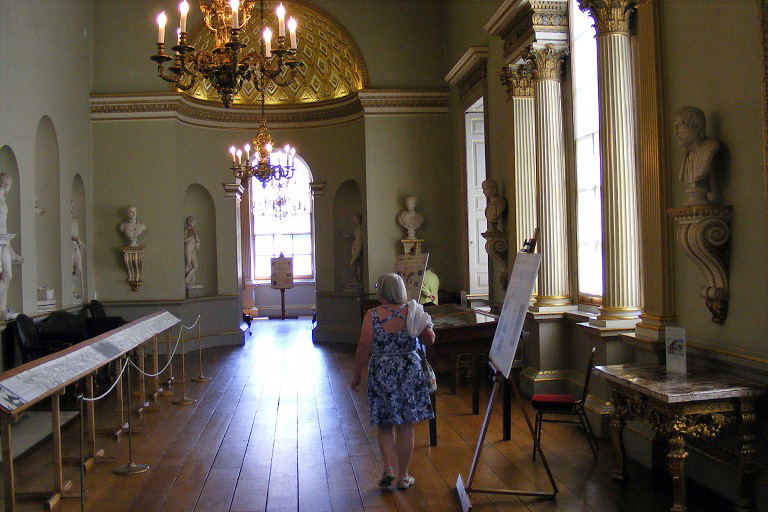 No photographs were taken internally. 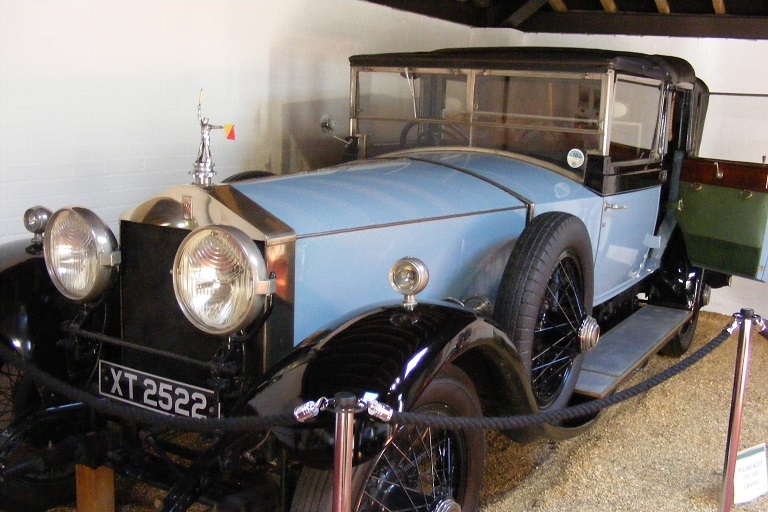 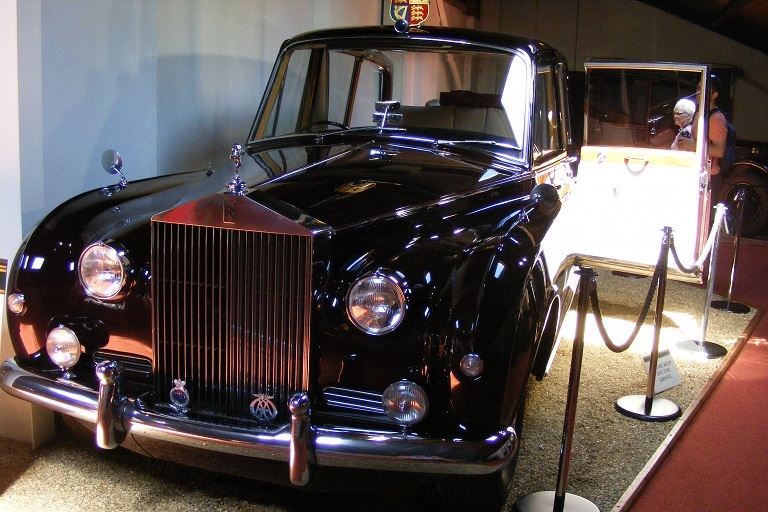 Rolls Royces - 1924 Silver Ghost; 2 views of 1961 Phantom V used for state occasions. 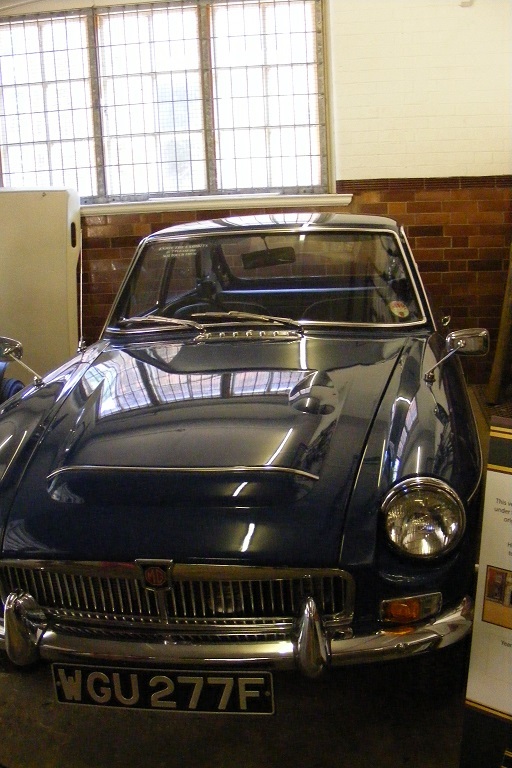 3 other vehicles: 1968 MGC sports car used by HRH Prince of Wales; 1956 Ford Zephyr estate used around the estate; Fire engine. 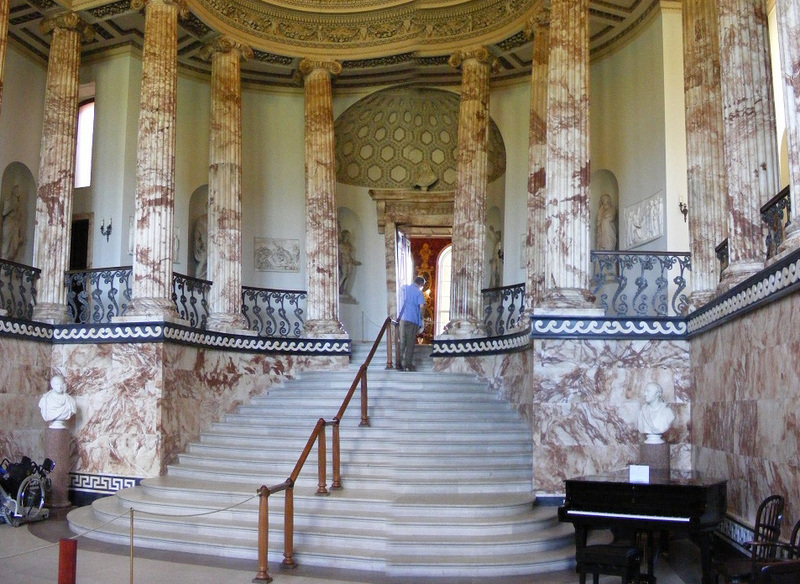 Holkham Hall is privately owned and still lived in by the family. 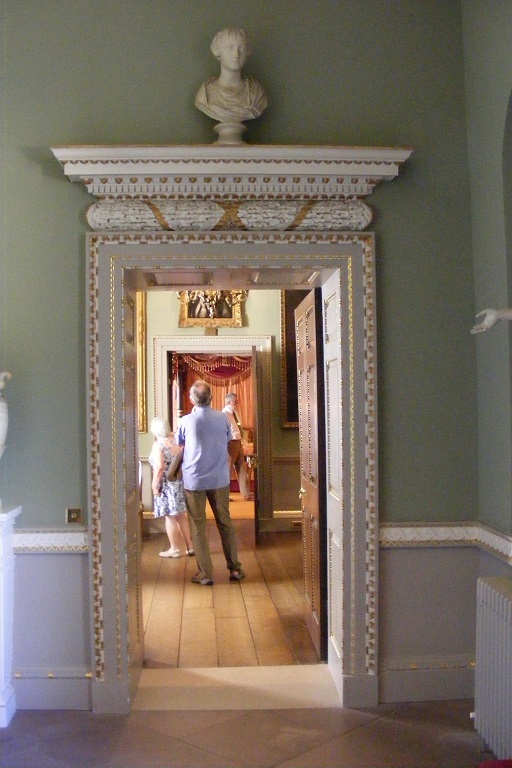 The public is allowed into the park and some of the rooms in the house and also into the walled garden. 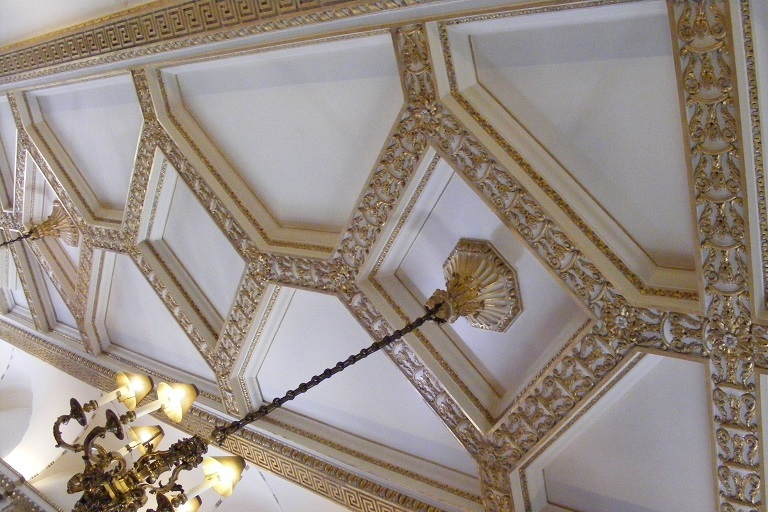 The exterior of the house is not particularly photogenic so I did not take any photographs. 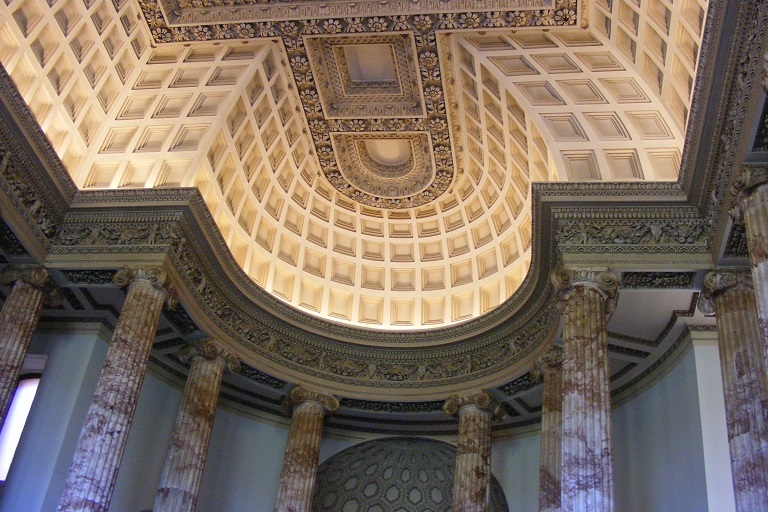 There are some interior shots, starting with the incredible entrance hall called The Marble Hall with its amazing coffered ceiling, said to be modelled on the Pantheon in Rome. 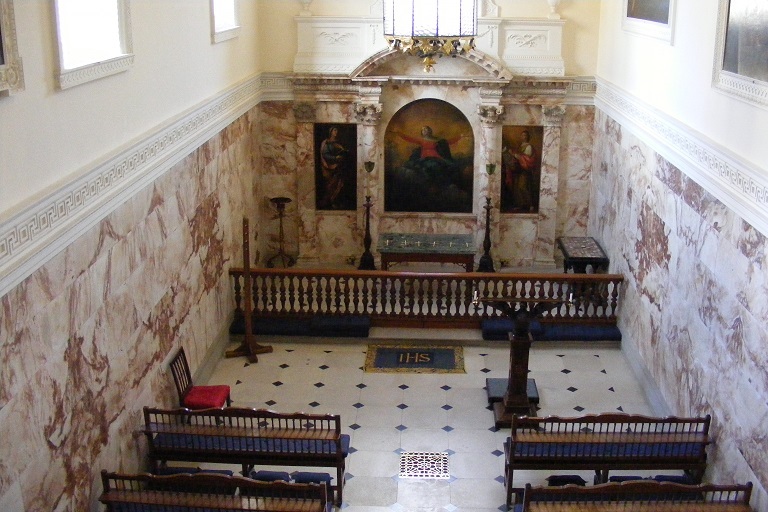 The latter photograph is a panoramic montage and the join is not quite right, but it gives an indication of the magnificence of the interior. 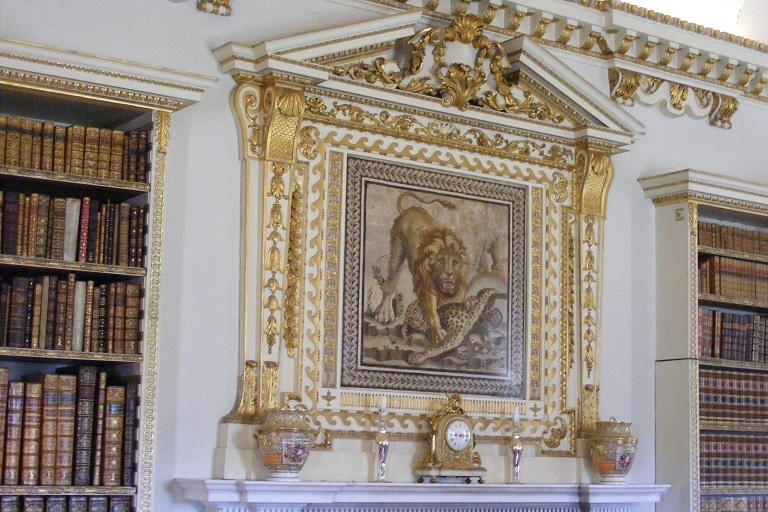 The house seems to be full of gilding - door surrounds, picture frames. 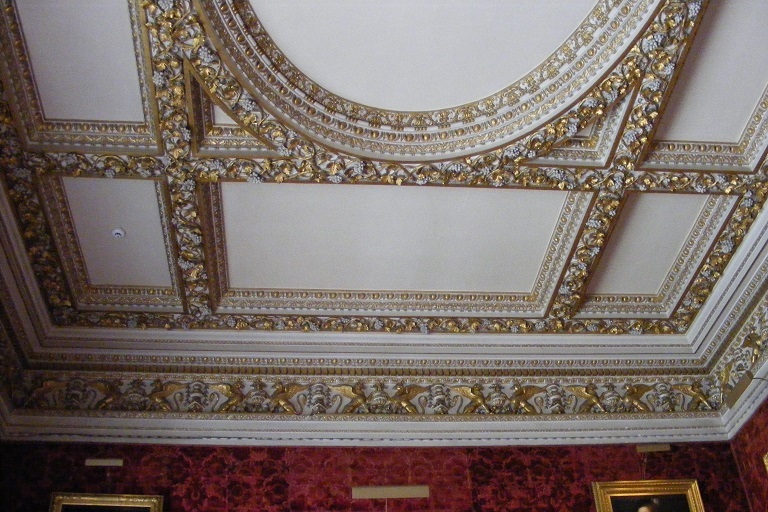 ceilings, furniture. 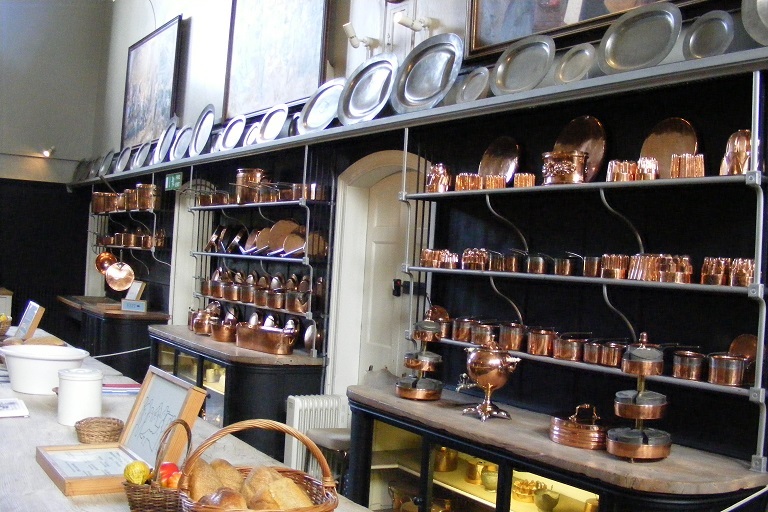 The kitchen is the Vistorian arrangement with iron ranges and many copper pans. 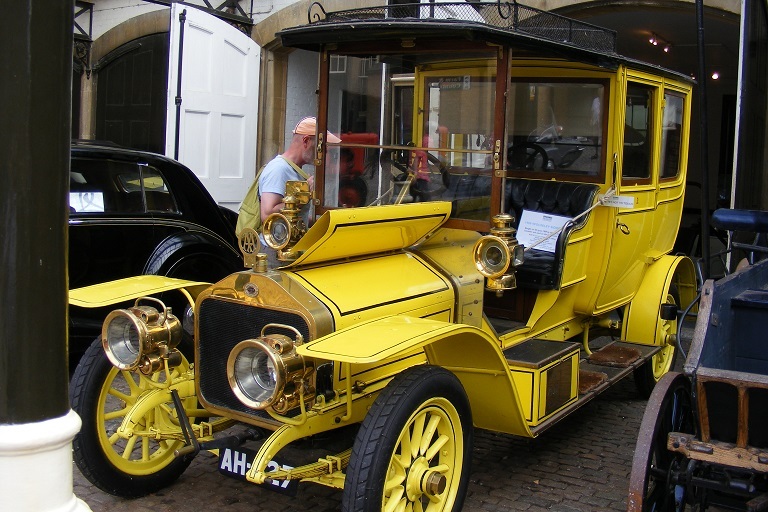 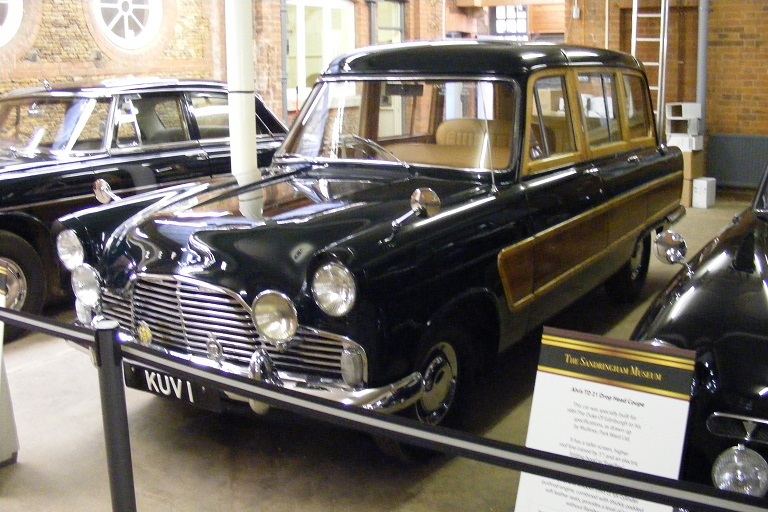 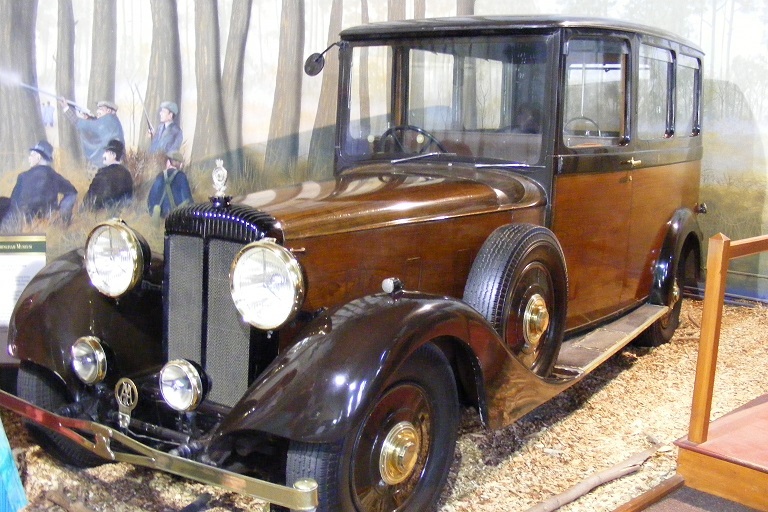 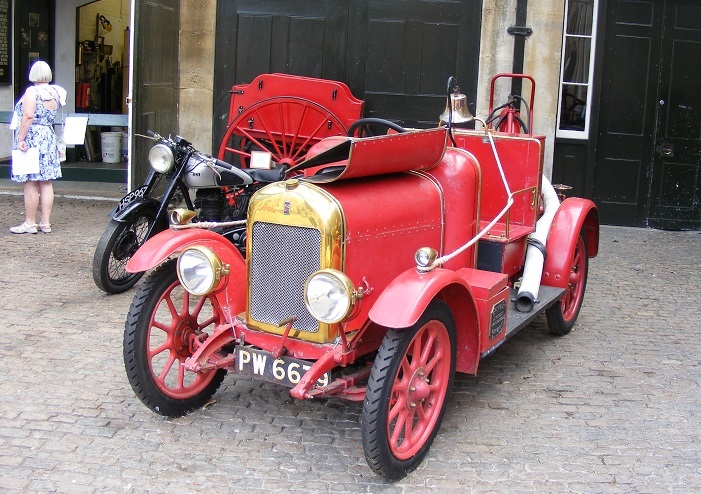 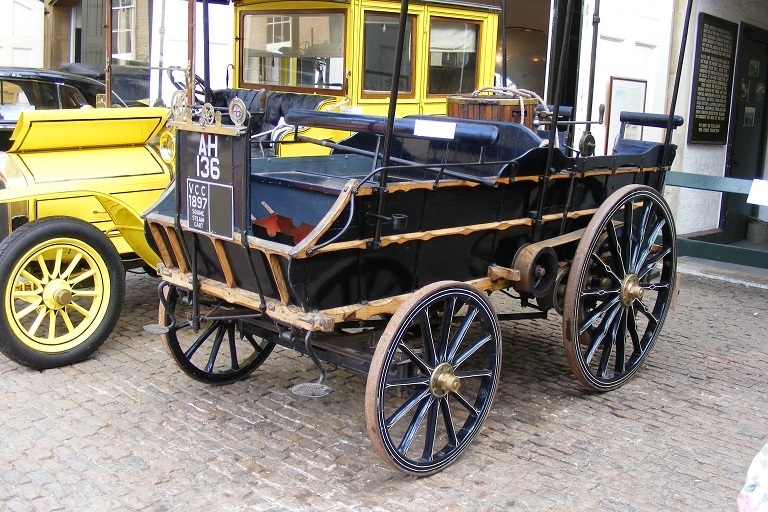 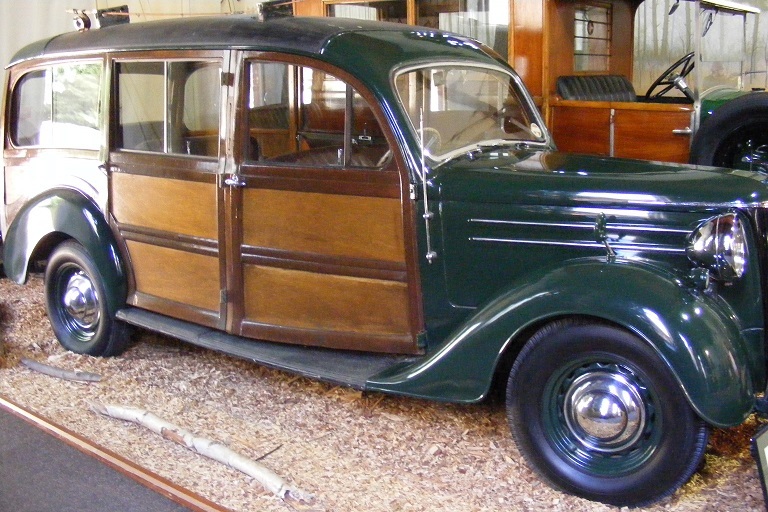 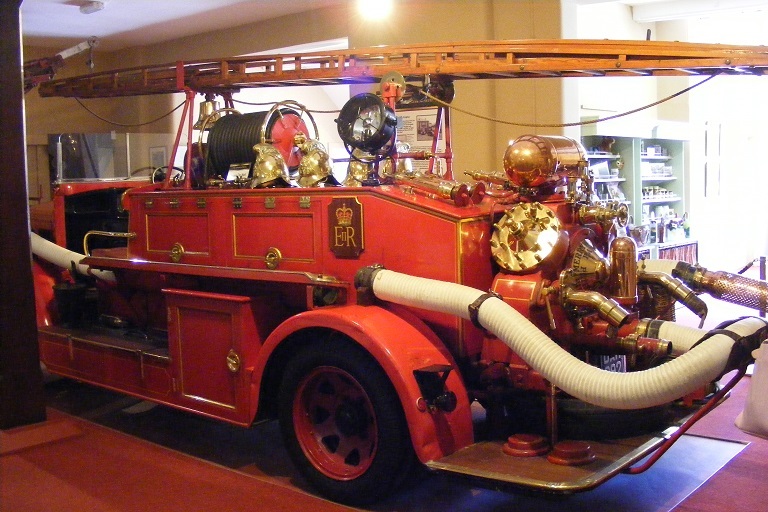 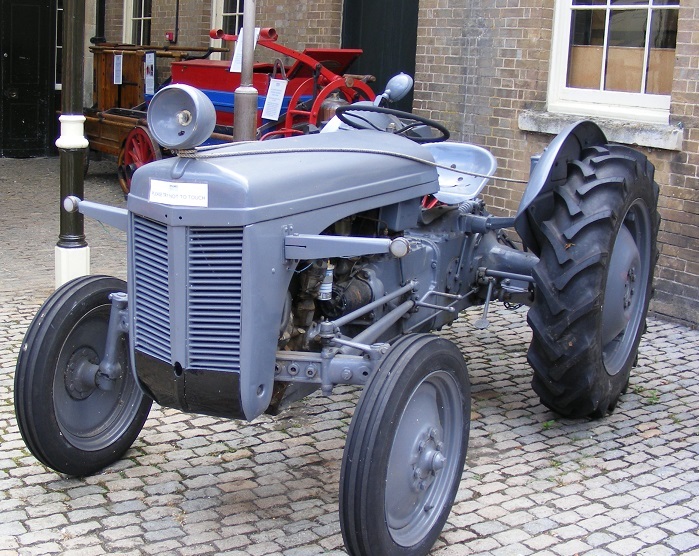 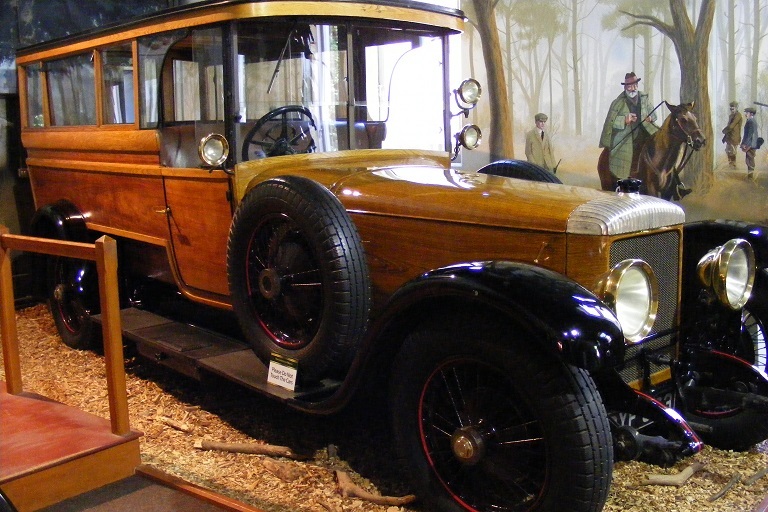 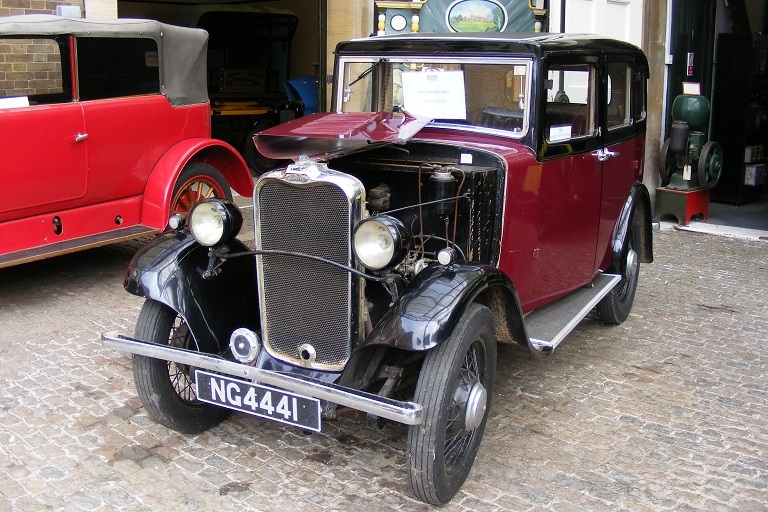 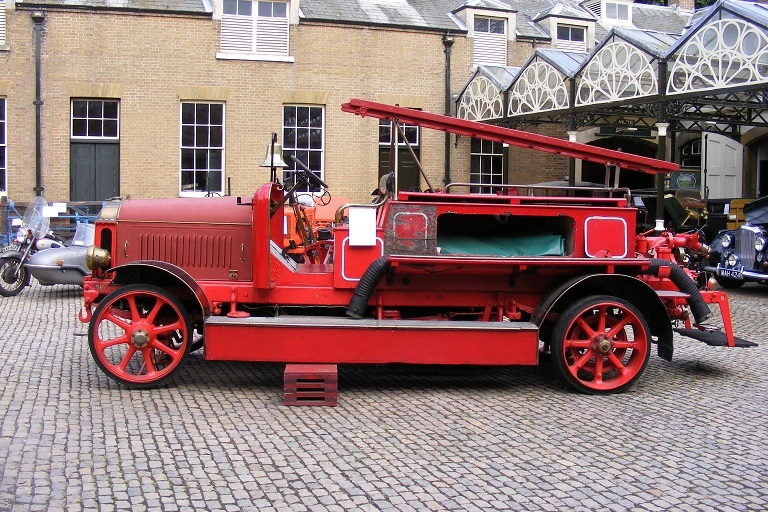 There are many vehicles in the museum centred on the stables and carriage building. 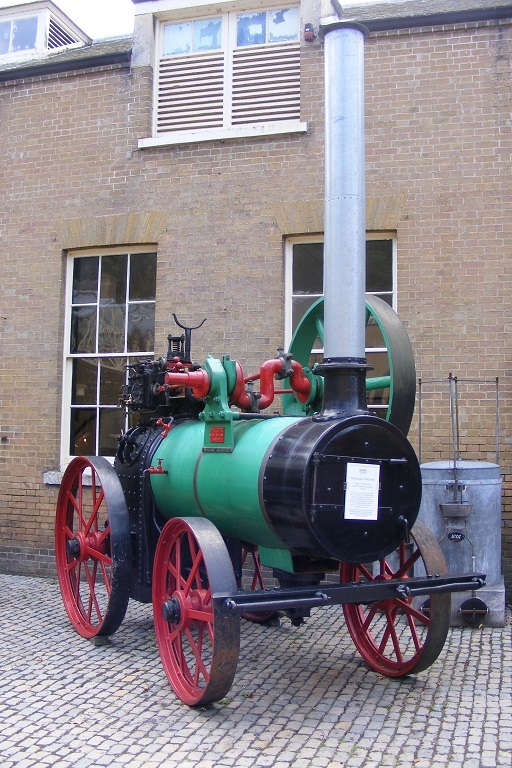 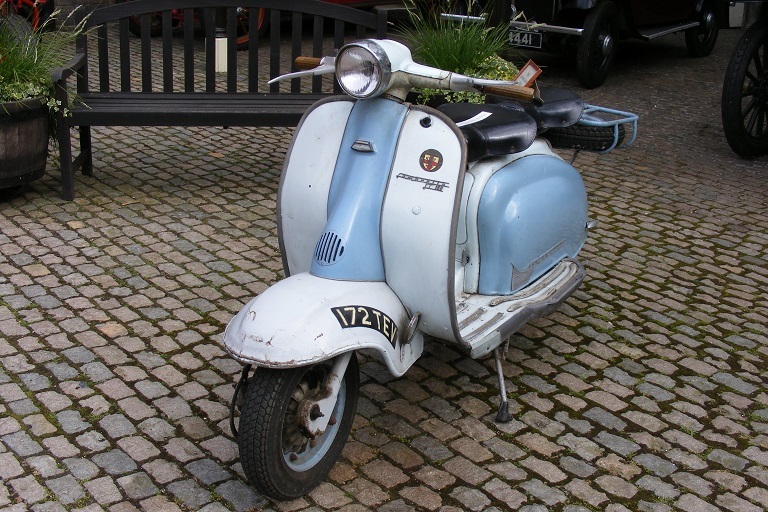 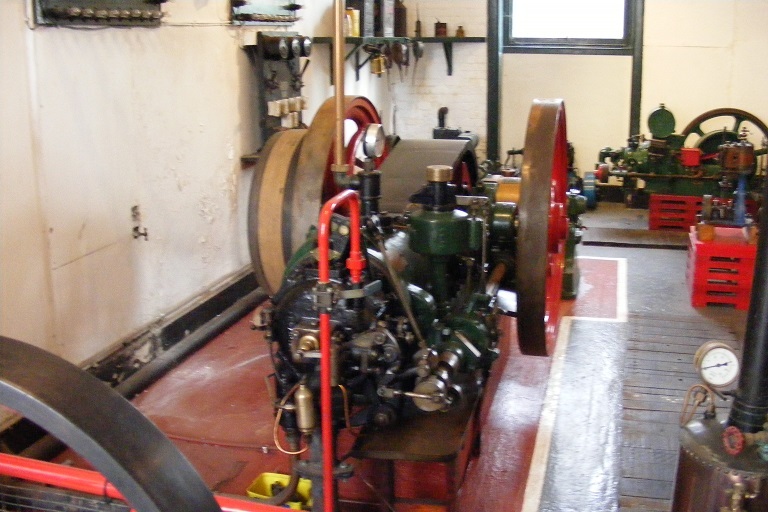 There are quite a few stationary engines of varios types, a few smaller older cars, and even a 150cc Lambretti scooter.